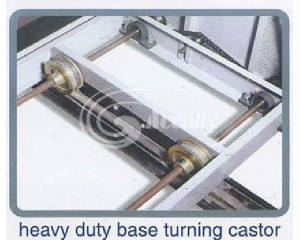 mounted on carriages, reducing the floor space requirement by half. material deterioration due to light, dirt and moisture. One innovative ACS solution installed at Southern California Edison, Laughlin, NV. 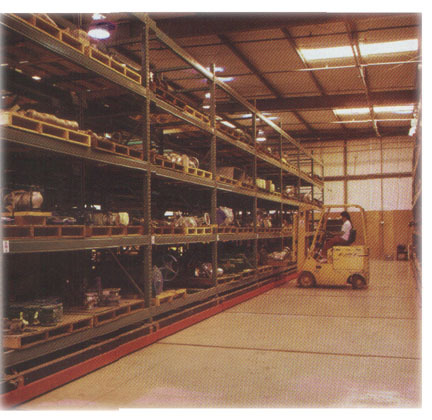 Enabled the customer to avoid construction of an additional 15,000 square feet of warehouse space, along with related costs of taxes, insurance, and utilities. 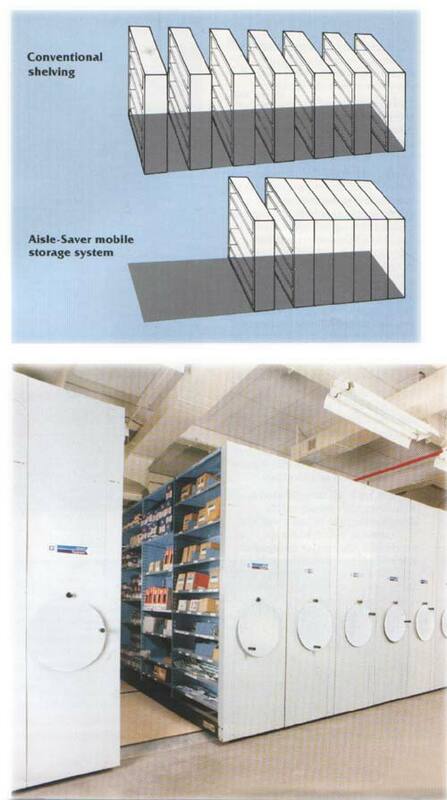 A White Machine Company Mobile Storage System was installed to store over 2200 pallets of materials.